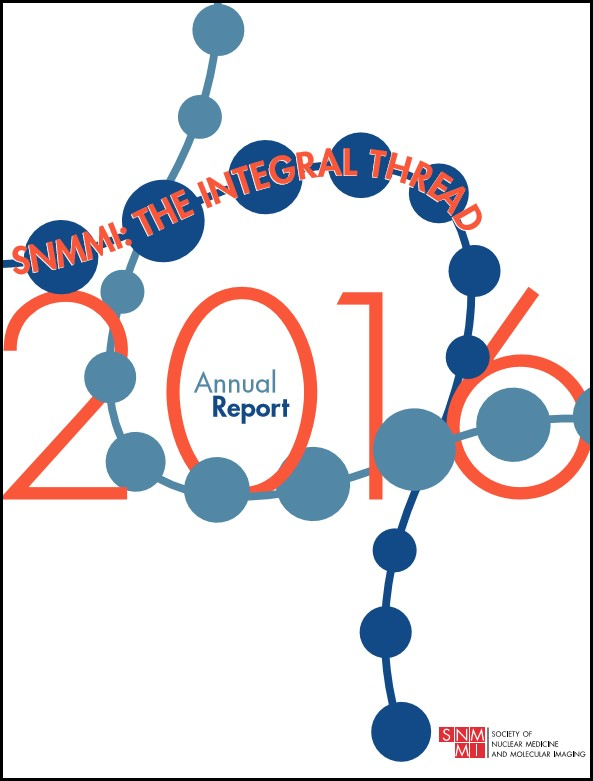 SNMMI: The Integral Thread – 2016 Annual Report has received a MARCOM Platinum Award in the category of Print Media, Publications, Association Annual Report. This is the highest MARCOM award level. Entries are judged on their merits individually, not against each other. This recognition highlights the report’s successful representation of the innovative and collaborative nuclear medicine and molecular imaging research and clinical application process for which SNMMI is truly an integral thread – bringing innovators and stakeholders together and serving as resource, facilitator, advocate, publisher/communicator, and educator – all with the goal of improving patients’ lives through the highest quality diagnostics and targeted precision therapies. The MARCOM Awards, an international competition, recognizes excellence in communications and marketing, and the program is administered by the Association of Marketing and Communication Professionals (AMCP), the industry’s preeminent third-party evaluator of creative work.